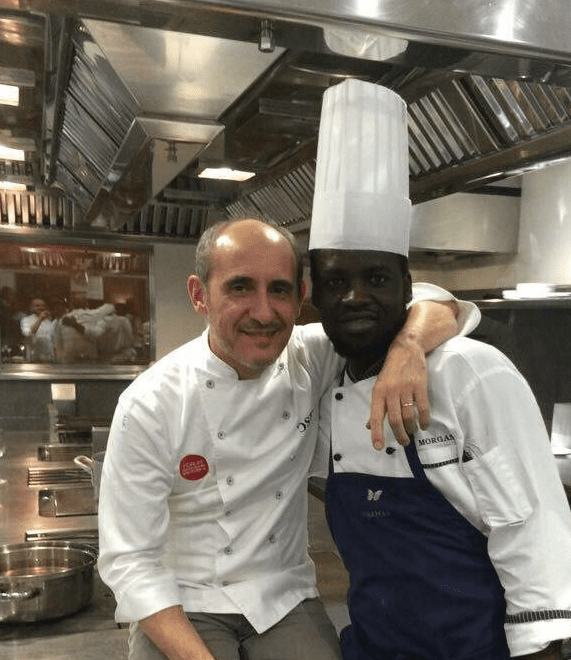 This winter, Hotel-Restaurant Cala Jóncols chef Morgan Amadou Gaye has been in residence at the prestigious Miramar restaurant in Llançà, one of the benchmarks of high culinary art. During his residence at this family establishment, Morgan was able to expand his knowledge, acquire new high-level culinary skills and soak up the explosive and unique creativity of the renowned multi-star chef Paco Pérez. This season, he will be placing all of this at the service of the customers of the Roses restaurant in a perfect combination of innovation and the Mediterranean tradition which Morgan acquired when he started out with Rosario, the mother of the current owners and, along with the chef, one of the mainstays of Cala Jóncols cuisine.